If you’re wanting to listen to binaural beats to increase your productivity and get sh*t done, you need good headphones to rock out on. These are not the cheapest headphones. When it comes to my gear, I’m willing to pay for quality and comfort. I use it everyday, so I want it to work, last and I want to be happy with them. If you’re looking for the cheapest headphones, you’re in the wrong place. If you want my best recommendations for headphones, keep reading. I like these a lot. They’re my go-to, throw in a backpack and go headphones. 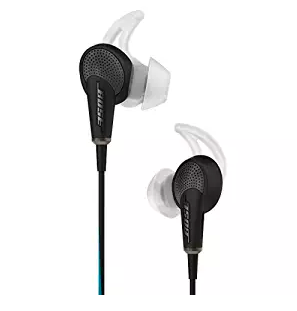 They’ve got a great, full sound and stay in your ears, even if you’re running 20 miles. I use these as my quick, travel headphones or the ones I’ll take to the gym and beat up. The one big annoyance with these is the pads on the earpiece come off all the time, but they’ll send you free earpads for life if you sign up for their warranty platform. Nice. I started using these after getting them recommended by 3lau. He literally spends his days & nights DJ-ing and knows his sound. Plus with travel, they’re a good combination of sound, portability & durability. Try them, use them, love ’em. I like to joke that once you switch to noise cancelling headphones, you can’t go back. I’m only half joking with this. When you work out of coffee shops and noisy environments, noise-cancelling makes a huge difference. If you’re not really convinced If you want to upgrade your headphone game, and jump into the noise-cancelling tier, you’re gonna pay for it – but it’s worth here. My buddy Michael handed me these and I was blown away. The best place to demonstrate this is in the middle of a coffee shop. The sound is great on their own, but as soon as you flip the switch on the noise cancelling, the places goes silent. Michael was talking 2 feet in front of me and other than doing some bad lip reading – I had no idea what he was saying. More so than this, they were COMFORTABLE. Some headphones hurt your ears if they’re in too long, but these are uber comfortable. About the only way you get more comfortable than this is when you get earbuds custom molded to your ears. These headphones are the jackpot. Combine noise cancelling headphones with a full sound. Let them rest easy on your head or fold them up and take them on the go. Did I mention they look sick? These guys are pricey, but once you’ll try them, you’ll have a hard time going back to anything else. 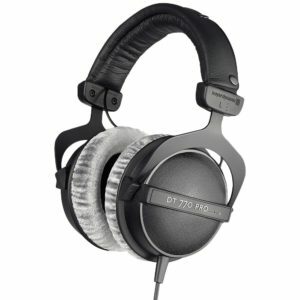 Knowing that my area of expertise isn’t audio, I asked my brother – a full time audio engineer – what his favorite headphones are. He’s the sound engineer for big concerts concerts for Black Eyed Peas, Nelly, and a bunch of other big top40 artists doing huge venues. If something isn’t right with their sound, it’s on him. His job is to be picky when it comes to his ears. So most of the time, I have no idea what he’s talking about. Then on occasion, he comes in very handy (like right now). I asked him what his headphone picks would be (in case you need recommendations from someone with ears more sensitive than a wolf). If you’re looking for a full, accurate sound and are willing to spend the money, these Beyer’s are Justin’s pick. 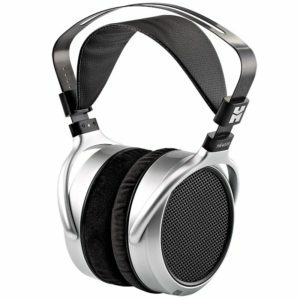 All the sound you need plus the comfort that lets you wear these all day without them getting heavy or hurting your ears. 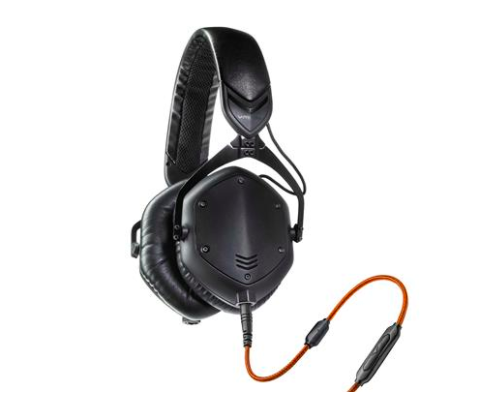 Anytime you get into something like headphones, you run into headphones that have great marketing, but don’t necessarily warrant the price tag. Here are a few headphones worth avoiding overpaying for. Beats headphones are popular, but they boost the bass to huge amounts and while I know Lebron and every other athlete on the planet thinks they’re great, they’re not optimal for sound output. If you’ve got a favorite pair of headsets, let me know in the comments. I’d love to hear what you’re using. Hey Joel, just wanted to say thanks for this blog post. I love all types of sound and like any music junkie, good headphones and earphones are a lifeline. I totally agree with what you’ve mentioned about Beats. Slick marketing but overrated. Keep up the awesome blogging! You do some great work which really inspires me. I can confirm though that they are really comfy and sound very good. Hi Joel, I really love what you are doing. This is such an inspiration for the people still living in their parents basement:). Although I also work a lot in coffee shops, often with headphones. Which is kind of strange, cause we go to the coffee shop to be among people but then we use noise cancelling headphones to prevent hearing them. It seems a little contradictory, although we (as people) are no strangers to that. Anyway, enough philosophy. 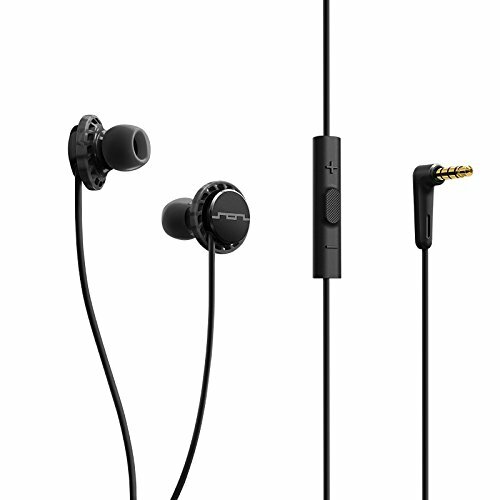 I wanted to recommend the Shure 215 as a working earphone. I have had them for 7 years now and they provide the best mix of value, passive noise isolation and good bass. hey joel, its a great post..
i am using Bluedio Turbine T2s as of now. They are good but heavy. Now i am looking for some thing light weight, earphones those can easily fit in my ears and more important one i can use for workout. After reading this post i am thinking about Bose QC 20 Earbuds.